It's that time of the year again and the pre-fanfest Eve London Meet will soon be upon us! EVE_NT London (Formally Veto London) is the longest running Eve Player event in the world, having run for over ten years! Organised by Demetri Slavic you can expect great attendance at this meet, a chilled out atmosphere, talk of spaceships, life and beer with the occasional bucket of POS fuel to get you on your merry way! 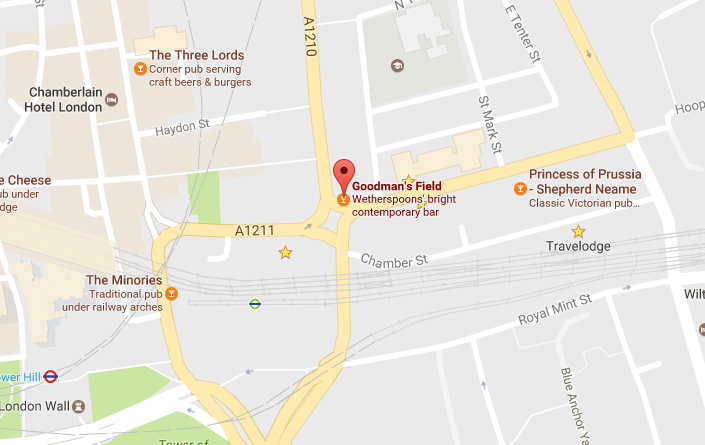 Same city, same bar, and same day of the week: Goodman’s Field Wetherspoons, Tower Hamlets, London from 11 am until last orders (and usually beyond!) on Saturday the 18th of February. Click the Map to the venue to view it on google maps. And of course, the pub’s website. As usual we’re inviting you all, the entire EVE, Valkyrie and Gunjack player base, as well as CCP and all their affiliates along for another player gathering in Central London. So come raise a few glasses and trade some tales of Internet Spaceships! Myself and a host of other people from here at EVE_NT, Valkyrie and Eve players will be there, so I and all of us here at EVE_NT hope to see you there! The whole of London at your feet, and you choose a Wetherspoons in Tower Hamlets????? ?